Minimalist – Penny 🌿 – Atlas Supply Co. 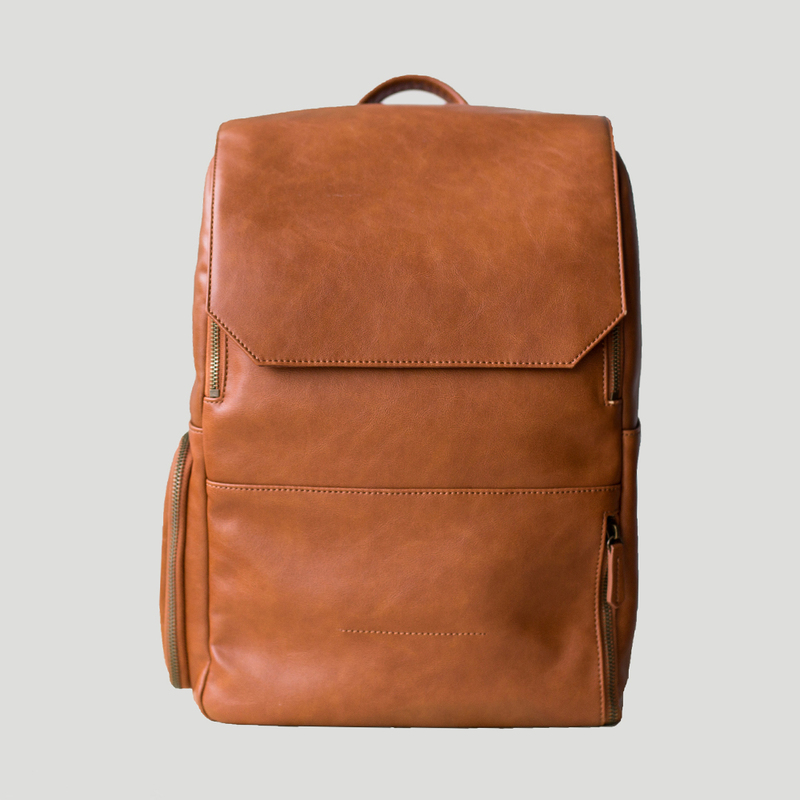 The Minimalist is the perfect backpack for anyone who wears multiple hats but doesn’t want to wear multiple bags. Penny is made from vegan leather, and it’s lining is a wipeable material making it a lightweight/stain resistant pack. The separate laptop section holds up to a 15″ laptop with padded siding & bottom for extra protection. Also a great spot to keep story books and coloring pages! This pack is made from vegan leather and lined with a wipeable nylon material. Use any multipurpose cleaner to wipe away dirt and grime. (and goldfish crumbs 🐟). Vegan leather is inherently waterproof and does not need wax!